I recently went to the Butterfly Place in Waterford, MA. Definitely a fun place to visit! 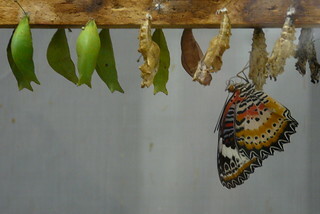 This was taken in the area of the building with tanks for you to see chrysalises and caterpillars of different species. 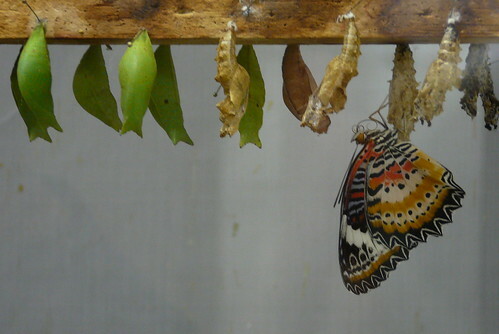 In this picture a colorful butterfly is resting on old cocoons.